I was so surprised and pleased when I recieved this! Last edited by Convict24603 on Wed Mar 28, 2012 11:17 pm, edited 1 time in total. 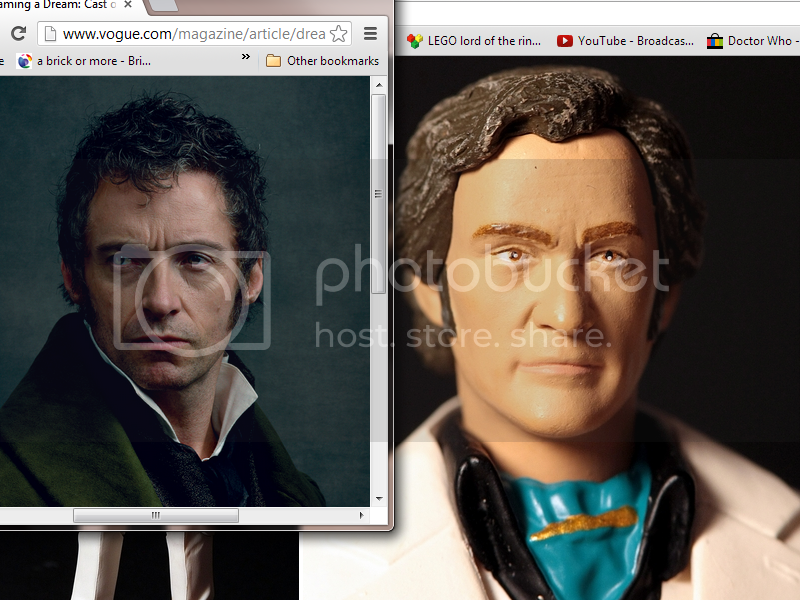 AND I'M JAVERT! Do Not Forget My Name! I second. That is pure awesome. It's a magical world... Let's go exploring! 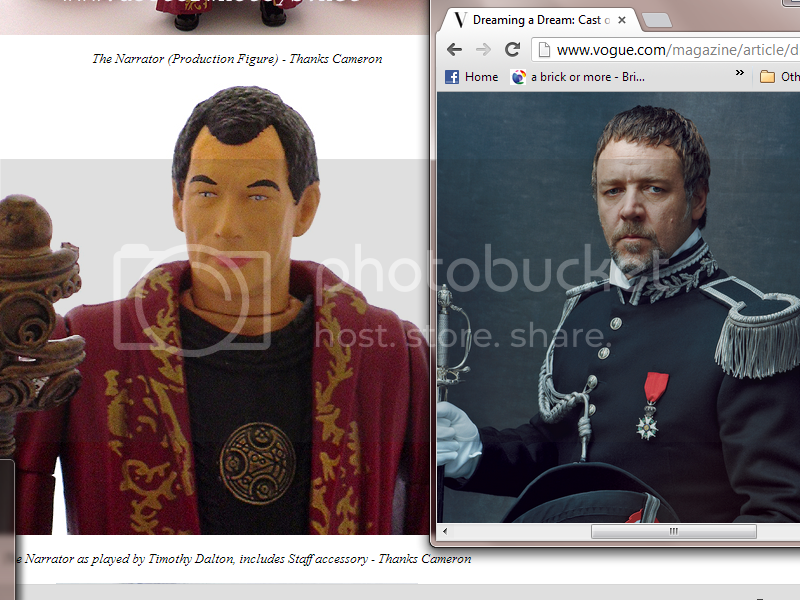 Your friend needs to create a line of Les Mis action figures. REALLY. I'd buy a Les Amis set (with a bonus Gavroche included!) in a heartbeat. "“Discontent is the first step in the progress of a man or a nation." Dewynters missed something really cool there...they should team up with McFarlane Toys and create a musical heroes line. I was going to wait until it was completed but I thought, what the hell! took me a while, but then I got back to it yesterday! that collar took ages believe me! these figures now have their own like page on facebook! 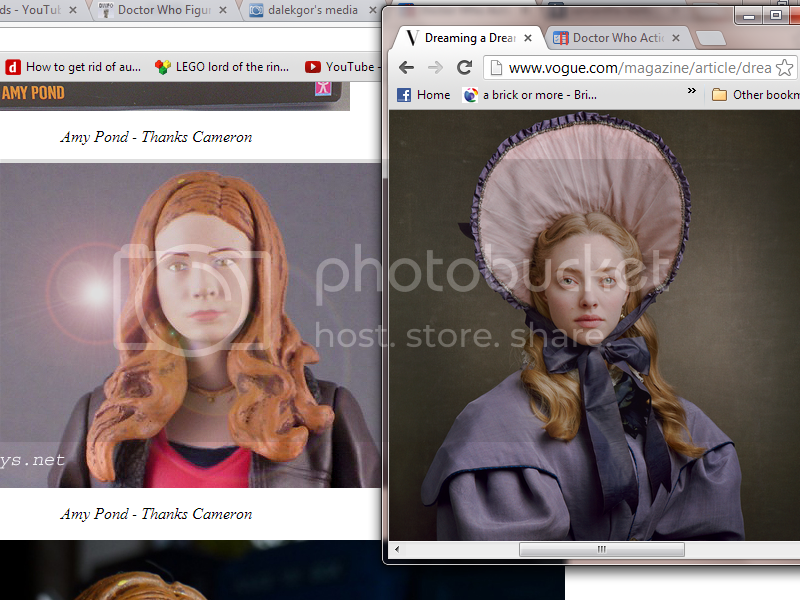 The Next figure will probably be Éponine! 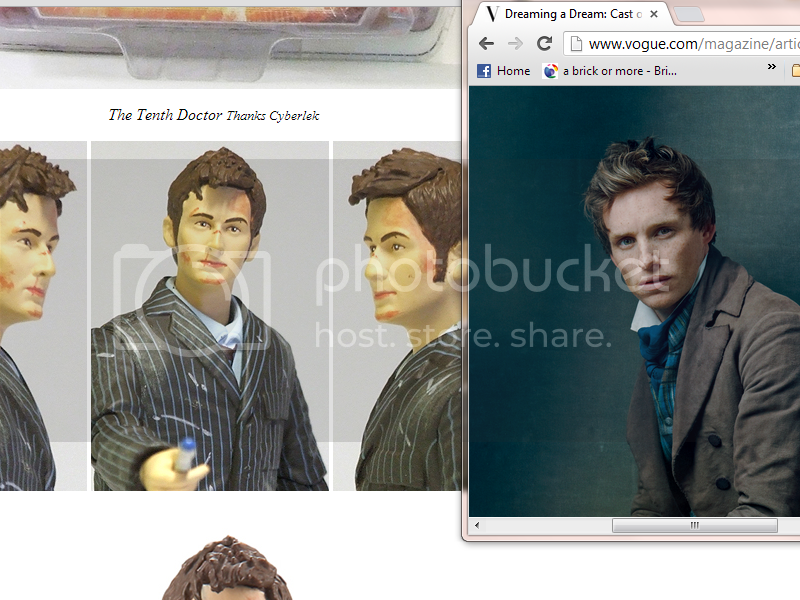 @Convict24603: Just read you're going to do Enjolras based on Ramin Karimloo...please...don't. You love the CSR so take Anthony Warlow...or for everyone else David Thaxton. I wouldn't mind Blonde!jolras for a change. Auf die Barrikaden wrote: @Convict24603: Just read you're going to do Enjolras based on Ramin Karimloo...please...don't. You love the CSR so take Anthony Warlow...or for everyone else David Thaxton. I wouldn't mind Blonde!jolras for a change. quite a jump but look who I bumped into last night! 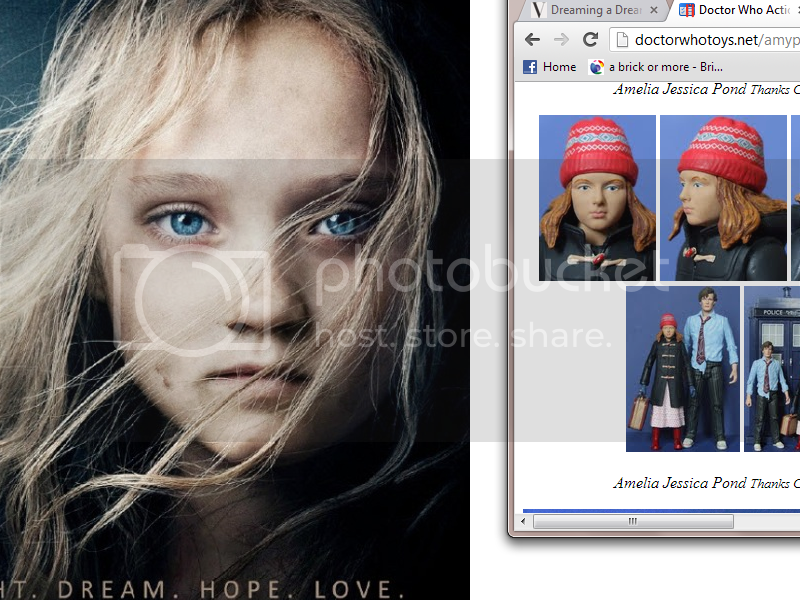 Young Cosette (as portrayed by Isabelle Allen) - If I can get the hat off... perfect likeness right there! 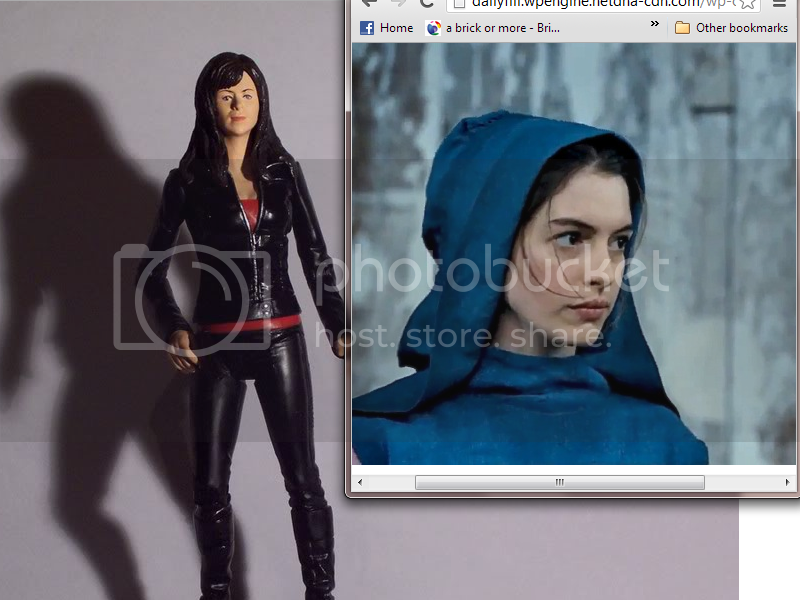 Fantine (as portrayed by Anne Hathaway) - Gwen Cooper! 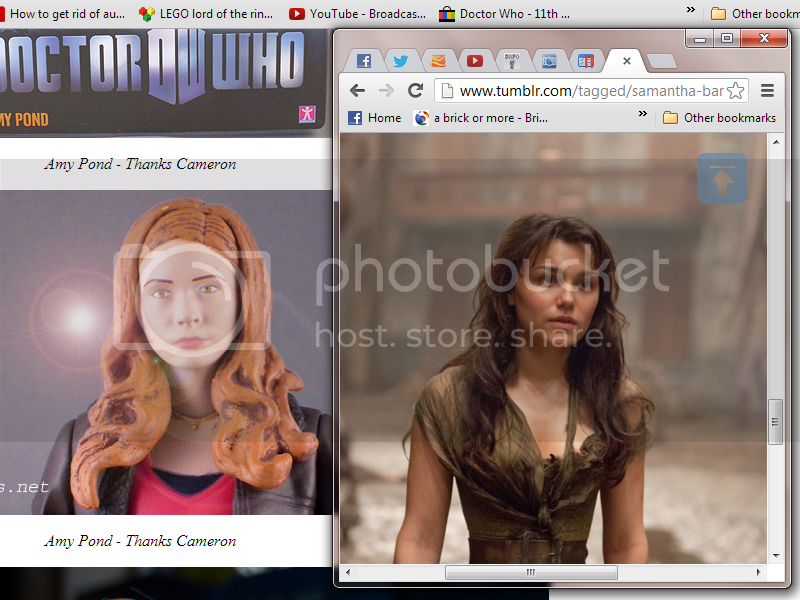 I always thought Eve Myles and Anne Hathaway had some sort of likeness! 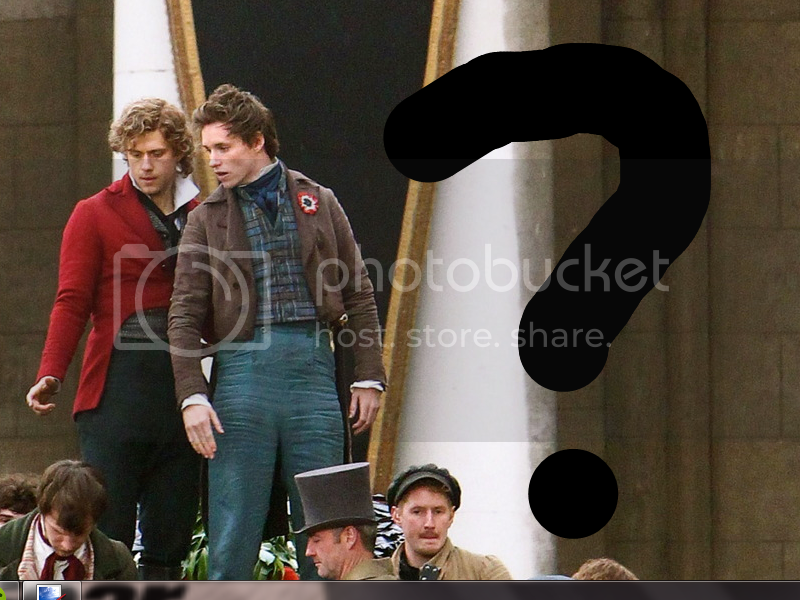 Enjolras (as portrayed by Aaron Tveit) - I have no clue, need your help here!